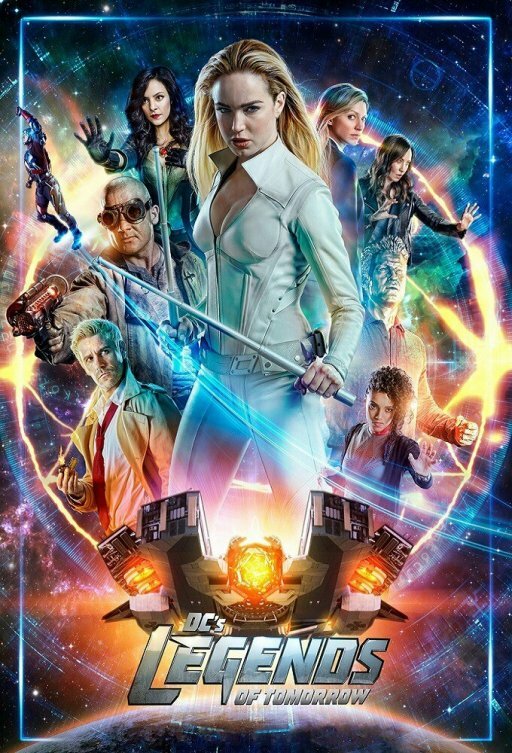 HispaShare.com - Serie "DC's Legends of Tomorrow (4ª Temporada)"
Director: Dermott Downs, Gregory Smith, Glen Winter, Joe Dante, Thor Freudenthal, David Geddes, Antonio Negret, Olatunde Osunsanmi, Steve Shill, John F. Showalter, Rachel Talalay, Alice Troughton, Ralph Hemecker, Mairzee Almas, Kevin Mock, . Victor Garber, Brandon Routh, Caity Lotz, Arthur Darvill, Ciara Renée, Franz Drameh, Dominic Purcell, Wentworth Miller, Maisie Richardson-Sellers, Nick Zano, Casper Crump, Falk Hentschel, Peter Francis James, Tala Ashe, Matt Letscher, Neal McDonough, Johnathon Schaech, Amy Louise Pemberton, Jes Macallan, Courtney Ford, Keiynan Lonsdale, Adam Tsekhman, Christina Brucato, John Noble, John Barrowman, Stephen Amell, Emily Bett Rickards, Tracy Ifeachor, Martin Donovan, Billy Zane. A mi me parece la mejor del arrowverso, mucho mejor que arrow, flash y supergirl. escenas de accion mucho mas curradas, y mucho mas divertida, y personajes mas carismaticos.